Hand washing stops infections, so why do health care workers skip it? Hospital infections affect almost two million people in the United States every year, 100,000 of whom die. Up to 70 percent of these infections could be prevented if health care workers follow recommended protocols, which include hand hygiene. To me as a physician who studies health quality, it often seems that getting health care workers to follow hand hygiene protocols has gotten only slightly easier since the days of Ignaz Semmelweis, the first doctor to champion hand washing. 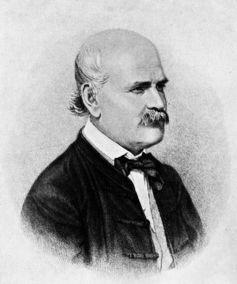 As a young obstetrician at the Vienna General Hospital in Austria in the 1840s, Semmelweis noticed that women who gave birth in one maternity unit had very high rates of infection and death compared to women in another ward. The unit with the low infection and death rate was staffed by midwives. The other unit was staffed by medical students and doctors who also performed autopsies. Semmelweis found that when the autopsy-performing students and doctors washed their hands with an antiseptic solution before examining women during childbirth, infection and maternal death fell by 90 percent in that ward. Semmelweis attempted to spread these hand hygiene practices – even confirming his findings in a different hospital. But he was largely ignored and increasingly ostracized. He died at the age of 47 in an insane asylum. Today, of course, doctors and nurses know that germs spread disease and that hand hygiene is critical. But that doesn’t mean we health care workers are washing up as often as we should. For instance, a study in 2010 examining research on hand hygiene in hospitals around the world reported that just 40 percent of health care workers comply with recommended hand hygiene guidelines which, at a minimum, emphasize proper hand hygiene before and after touching the patient. Why is it still so hard to get health care workers to wash their hands? There are plenty of reasons hand hygiene compliance lags. For instance, sinks or handrub dispensers aren’t always in convenient places in hospitals. 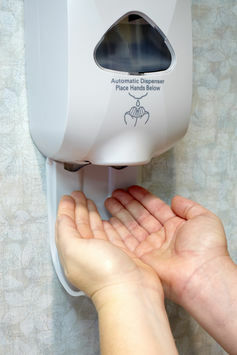 When a doctor or nurse goes to clean their hands, there might not actually be soap or hand sanitizer in the dispenser. Some health care workers might be concerned about drying out their skin. Or some may still need convincing that hand hygiene is important. Finally, hand hygiene may simply be overlooked given other tasks that demand a health care worker’s attention in the often-chaotic hospital setting. And those aren’t the only barriers. My colleagues and I have been studying how to prevent hospital infections for years. 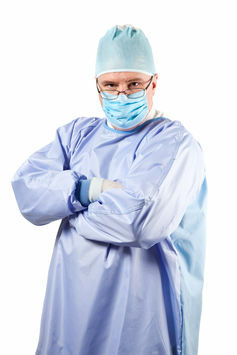 Our research – which has included site visits to over 50 U.S. hospitals as well as a large-scale collaborative effort involving over 1,000 U.S. hospitals and several hospitals in Japan and Italy – found that opposition to hospitals’ infection prevention initiatives comes from a type of health care worker that we classified as active resisters. minds if it’s working, why should we change it. But at least you know who these people are since they speak up at meetings and actively resist changing behavior. Active resister or organizational constipator? The second type are what we termed organizational constipators. These individuals often have nothing against an initiative per se but simply enjoy exercising their power by refusing to change, albeit below the radar. The challenging aspect about organizational constipators is that the people above them think they are doing a good job, while those below them cannot believe they still have a job. Yet another barrier we found in our research is that many hospitals have a culture of mediocrity rather than a culture of excellence. These hospitals are content to be just good enough. Leadership is generally ineffective. Overperformers are rewarded with more work. How can you get health care workers to wash up? While there are some specific steps we can take to improve adherence to hand hygiene practices, there is no universal solution. Perhaps the most important single thing a hospital can do initially is invest in alcohol-based handrub. In most cases, handrub is as or more effective than washing hands with soap and water. When we introduced personal bottles of handrub in an Italian hospital, we found adherence rates increased from 28 percent to 47 percent for doctors, even a year after our intervention. When personal bottles of handrub were introduced at University of Geneva as part of a hand-hygiene campaign, compliance improved from 48 percent to 66 percent while the overall hospital infection rate decreased from 16.9 percent to 9.9 percent. Handrub helps circumvent barriers by making the right thing to do much easier. Once handrub is readily available, hospitals have tried additional methods to improve compliance. For example, one intensive care unit installed video cameras with views of sinks and handrub dispensers and found an eightfold improvement in hand hygiene compliance when remote video auditing was combined with data feedback. Hand sanitizer station via www.shutterstock.com. Specifically, the auditors provided aggregated data about hand hygiene compliance rates by room and provider type. The data were updated every 10 minutes on LED boards in the hallway. I suspect it was the combination of being monitored and seeing real-time data, similar to how seeing the car speed flashing on a monitor on the side of the road helps remind us to stay under the speed limit, that made the difference. More recently, another hospital reported hand hygiene compliance rates of over 95 percent by enlisting front line health care personnel to provide immediate positive and negative feedback to colleagues. Such peer pressure from colleagues likely helped overcome both active resistance and organizational constipation. If guidelines, personal bottles of hand sanitizer and constant feedback aren’t enough, perhaps health care workers should heed the words of Dr. Avedis Donabedian, an internationally known expert in health care quality. Health care is a sacred mission…Doctors and nurses are stewards of something precious…Ultimately, the secret of quality is love. You have to love your patient, you have to love your profession…If you have love, you can then work backward to monitor and improve the system. If we have love, we will wash our hands before touching our patients. Dr. Semmelweis would no doubt agree.